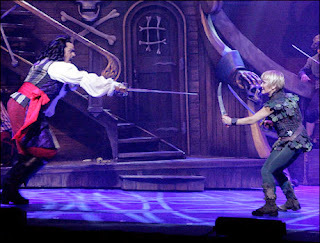 Since I am quite certain that everyone knows the storyline for Peter Pan, I'll avoid spending time explaining. I had mentioned that I read Peter Pan by myself a few years back. I almost hesitate to link to this but here is my old review (from 8 years ago!) which pretty much only points out that I read the book and didn't like certain aspects of it. (I hate my old reviews.) I have no idea what my complete thoughts were or even if I had any. (I really hate my old reviews.) Interesting though in that the one thing I noted was that 'one day' I would figure out how to filter the real story of Peter Pan when introducing it to my kids. Well, now the rubber has hit the road. And what did I do? I left it unfiltered. (I wipe my brow when saying that!) I have definitely changed as a reader and a more-experience-than-before parent. Ha! Now, let's jump to the "meat" of this post, shall we? 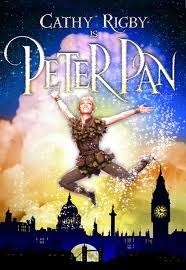 What did I not like about Peter Pan ? I do not like the way that Mr. Darling is portrayed. He's a bumbling idiot who thinks highly of himself even though everyone else sees him as a rather inconvenient fussy pants. He does not receive an ounce of respect. While it is true that some fathers certainly strain our abilities to respect them, the role that they possess deserves a little respect, like it or not. I believe that even a bad father ought to be forgiven his sins just as we hope and believe ours will be forgiven. Even if a person has a father who is rotten to the core, we are still called to love them as we are to love our enemies. Sometimes our enemies are our fathers (or father figures) which is most definitely regrettable and sad. However, this does not excuse the fact that we are required to do right and think right even if they refuse to do the same. I don't much like how Mr. Darling runs his household (or pouts like a baby in the dog house, drawing ridiculous attention to himself) but he is still the children's father and they need to support and love him in whatever way it might be possible for them to do so. (Finding ways to respect fathers when they prove undeserving poses many difficult questions and by stating all that I have, please note that I am in no way belittling the herculean effort it requires to recover from a bad father and then attempt love on top of that.) As Mr. Darling though is not an evil man, he also ought to be obeyed without so much argument (as was the case in the beginning of the book). I don't know what Barrie thought of fathers but by testimony of this book, my guess is that he didn't think many kind things. Politically correct crowds are not going to enjoy the way that the Indians are spoken of in this book. Using the label "red skins' isn't at all acceptable these days and so that will give modern readers pause. It is rather cringe worthy but as I mentioned in my review of Brer Rabbit, times change our beliefs, convictions and perceptions (as it ought to do) but we can't just ignore the past or ban books because we don't like the historical aspect of them. Certainly Barrie potrayed Indians in a rather poor light but at the time there was much less known about these people. They were mysterious and feared and it's understandable that that is the picture of them that Barrie gives to us. Really, don't just leave yourself with Disney (although I do find the cartoon version to be quite enjoyable in Disney's classic charming way) but check out Rigby also! I am glad to have read this one again for myself and also to have shared it (unedited) with my kids. They enjoyed it and I get to write a brand new review which effectively writes the other one away, right? RIGHT!? 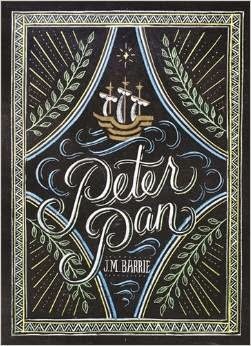 Read Peter years ago to my girls and found it a tough read aloud due to all the dialogue, etc. 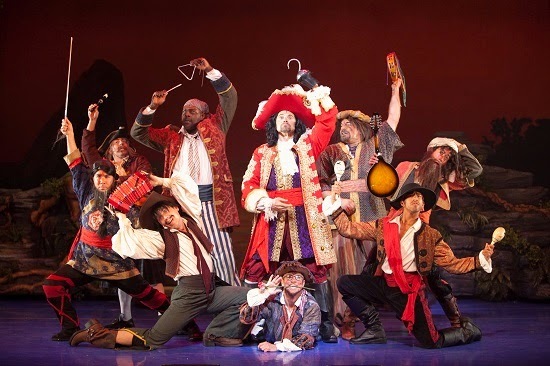 we saw it on stage at the AL Shakespeare Festival and loved it! Excuse the errors above--on iPad! I almost got this on the Kindle a while back but then decided not to. Maybe I will some time. Interesting how modern versions make Peter admirable for not growing up, but in the book he was actually babyish. Have you seen the live action film version with Jason Isaacs as both Hook and Mr. Darling? I thought that was an interesting twist. Don't take this as a recommendation, because I can't remember a lot about it except I didn't like that they made the relationship between Peter and Wendy too "romantic," but I did think the cinematography was really nice. Thanks for the review! I tried this book years ago, when my daughter was younger and we didn't finish it out. I bet I'd have some interested children now. I didn't get to this one last month like I'd hoped(and now I'm in the mood for middle grade adventures and Christmas stories, so I'll probably push it off until next year), but you've given me hope that I can appreciate it more the next time around. 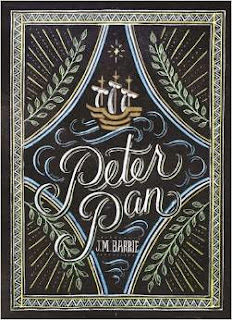 I think I recall Peter's and Tinkerbell's meanness being my biggest reasons for not liking it, but I like what you said about Barrie's understanding concerning Peter's childishness.